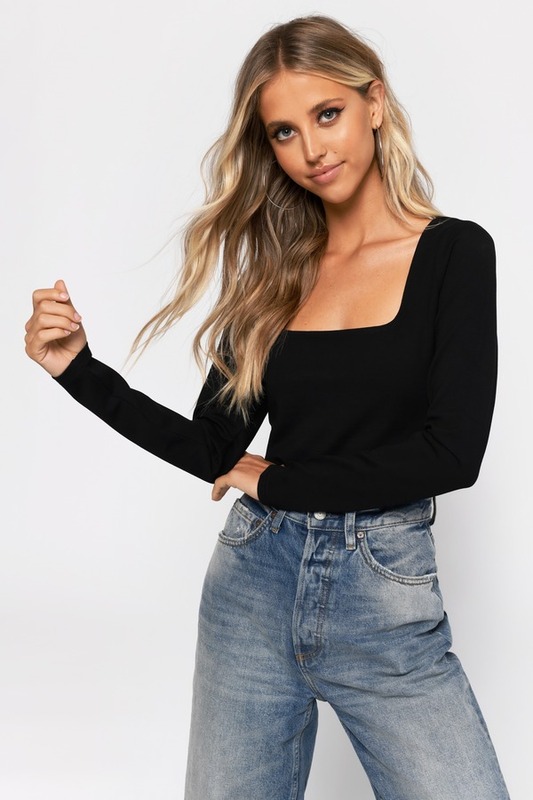 Check out Tobi's Marianne Square Neck Crop Top One thing's for sure: this ain't your basic long sleeve tee. We hope you're ready for the Marianne Mocha Square Neck Crop Top, featuring a square neckline, tight long sleeves, and a gorgeous cropped construction that will elevate any 'fit. 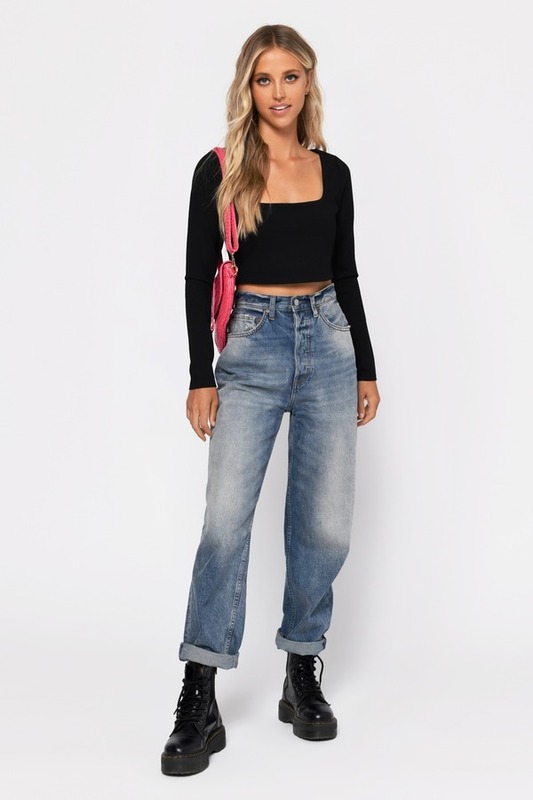 When you refuse to give up crop tops, no matter the season, reach for this casual top and pair it with mom jeans or high waisted culottes. One thing's for sure: this ain't your basic long sleeve tee. We hope you're ready for the Marianne Black Square Neck Crop Top, featuring a square neckline, tight long sleeves, and a gorgeous cropped construction that will elevate any 'fit. When you refuse to give up crop tops, no matter the season, reach for this casual top and pair it with mom jeans or high waisted culottes. One thing's for sure: this ain't your basic long sleeve tee. We hope you're ready for the Marianne White Square Neck Crop Top, featuring a square neckline, tight long sleeves, and a gorgeous cropped construction that will elevate any 'fit. When you refuse to give up crop tops, no matter the season, reach for this casual top and pair it with mom jeans or high waisted culottes. One thing's for sure: this ain't your basic long sleeve tee. We hope you're ready for the Marianne Mocha Square Neck Crop Top, featuring a square neckline, tight long sleeves, and a gorgeous cropped construction that will elevate any 'fit. When you refuse to give up crop tops, no matter the season, reach for this casual top and pair it with mom jeans or high waisted culottes. Mocha, White, Black, modeled on a size Small.